Agriculture is an integral component of our nation's economy. It employs many of our nation's workers and supplies our nation with the meat, grain, plants and other products we need. Agriculture law is extremely broad. Few other industries involve such complex matters as production issues, banking relations, animal nutrition law and even fraud. Domina Law Group pc llo has experience in agriculture law that is unmatched, and has represented clients faced with a wide array of matters. The firm has handled more than 300 jury trials and more than two-thirds of them have involved agricultural issues. When it comes to agricultural and farming, there is no better firm to handle your legal issues than Domina Law Group. Lead Attorney David A. Domina has accomplished much since he founded the firm in 1975. He has received an AV® Preeminent™ rating from Martindale-Hubbell®, which is the highest possible peer-review rating that an attorney can receive. 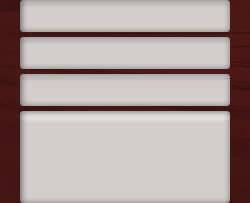 He has also been listed as a SuperLawyer® on multiple occasions: 2007, 2009 and 2011-2012. 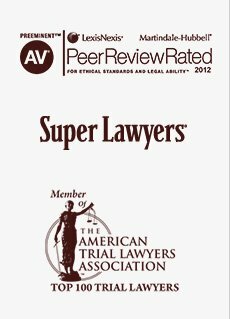 SuperLawyers® is also an attorney rating system based on peer opinion as well as objective standards of achievement. Less than five percent of attorneys are selected for this prestigious title. Like the firm he leads, complex trial law is his specialty and he is considered an authority on agriculture law. 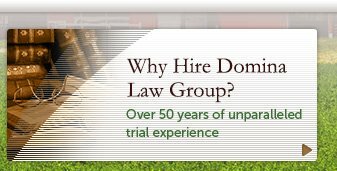 Domina Law Group is a trial firm, and while many other firms talk about their ability to represent clients in court, few actually do it on a regular basis. Trial by jury is our firm's emphasis, and we don't back down. The clients that we choose to represent have stories that need to be heard. Think of us as the legal equivalent of surgeons. 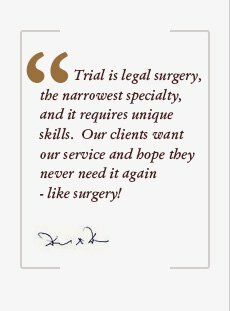 As lawyers, we are trying to better our clients' situations just as a surgeon is trying to provide the care needed for a successful operation. The major difference is that, instead of the attendants and physicians in the operating room working with us, there are lawyers attempting to destroy all our efforts. A trial is a battle, but a battle that our firm is prepared for. Our firm has won multi-million dollar judgments in both state and federal courts in over ten states, our lead attorney is responsible for securing two out of the three total constitutional impeachments in Nebraska, we have argued more than 260 state and federal appeals and are the only firm to secure a billion dollar jury verdict in a civil case. This is what we mean by "Trial Practice. Not Just Talk." Accomplishments of this magnitude are incomparable, making Domina Law Group the only firm you should consider when faced with an agricultural matter. One of the major ways that our firm is prepared to help clients is by fighting so that they can recover economic losses. For example, Domina Law Group represented most of the victims involved in the nation's largest cattle fraud scheme in history. When a man stole more than $170 million from investors for a cattle Ponzi scheme, the victims turned to our firm to recover back most of their losses. We were also able to secure a $1.26 billion jury verdict on behalf of Nebraska cattlemen who became the victims of the market manipulation of Tyson Fresh Meats, Inc. Economic losses can also come by way of sick livestock. Unfortunately, things like adulterated feed and defective vaccines render many animals infertile, unable to produce milk and some illnesses can even kill the animals, costing farmers upwards of millions of dollars. There are also many physical dangers that beset farmers on a daily basis. Defective equipment such as tractors, silo blowers and augers can seriously maim and even kill those who work on farms and ranches. 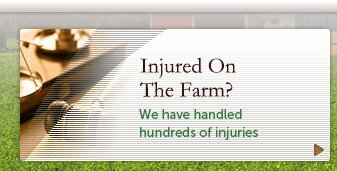 In addition to the physical and emotional damage these accidents can cause, farm owners are then faced with liability that could result in serious financial burdens. Our firm has its roots in the agricultural industry and is passionate about the farmers, businessmen and individuals that comprise it. There is no "one size fits all" approach when it comes to legal solutions for our clients. Domina Law Group never approaches two cases the same way. Each client, witnesses and evidence will vary drastically case-to-case. In order to accurately portray our clients' stories to the judge and jury, we understand that we must be meticulous and disciplined, which means that we scour through every detail when it comes to our clients. Every detail down to the last document and form will be executed with purpose, because the ultimate goal is to successfully present a case at trial so we can secure a verdict that meets our clients' needs. Have you been injured or otherwise wronged? Know that our firm doesn't take on cases simply for financial gain. 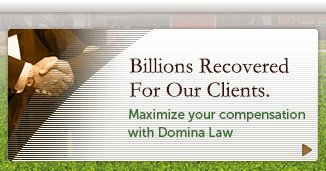 As a firm, Domina Law Group is driven by a passion for our clients and the message that they want to get out. Many of the cases that we have argued have resulted in law and regulation changes for the betterment of the agricultural industry. We are committed to trial practice that gets real results for each and every individual that comes through our firm. If you're ready to take the first step toward justice, then we encourage you to contact our firm for a free evaluation of your case today. When it comes to matters this important, you can't afford to hire a firm will lesser experience, knowledge or passion than Domina Law Group pc llo.